Leading master-developer Meydan Group said 60 per cent of structural work has already been completed at its pioneering, next-generation lifestyle and retail destination, Meydan One, in Dubai and the project is on track for its launch in early 2020. Meydan One is Dubai’s latest centrepiece development aimed at enhancing the emirate’s mall landscape through a wholly reimagined approach that combines retail, hospitality, entertainment and leisure experiences, said a statement from Meydan. A sprawling, next-generation destination, Meydan One offers immersive lifestyle experiences, world-class design, entrepreneurship and technologies, reaffirming Dubai’s vision to become the preferred global hub for tourism and shopping. 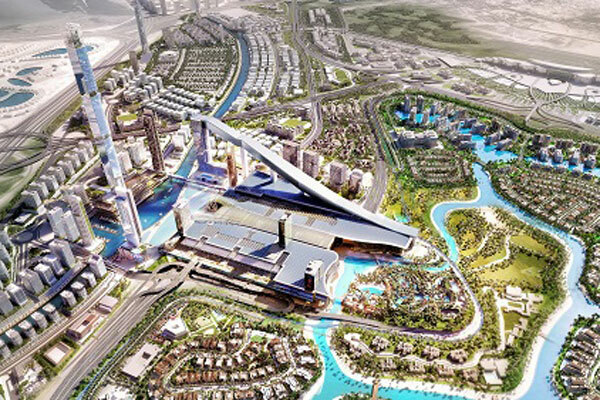 Meydan One offers a unique business proposition for global and local investors eyeing investments in Dubai. As a free-zone entity, the destination offers unmatched advantages in facilitating business activities, attracting investments from local as well as international businesses, thus reinforcing Dubai’s status as a global investment hub. Seeking to drive start-up innovation in the UAE and across the region, Meydan One will feature an incubation district as a fully-enabled plug-and-play facility for up-and-coming entrepreneurs in fashion, beauty and food and beverages (F&B), among others. The three-phase incubator programme will offer brands competitive leasing incentives and positioning through careful curation, mentorship and support to take new businesses from emerging brands to global ones - born in Dubai and proudly nurtured in Meydan One. The Dubai developer said Meydan One was also keen to disrupt the traditional retail experience through reinventing convenience and ease of movement with advanced wayfinding solutions. "This disruption will also be embodied in Meydan One’s virtual platform to ensure seamless accessibility and customer service. The platform focuses on being truly omnichannel, empowering the visitors to start their experience at home or at the airport via technology that is fully integrated with the physical infrastructure," said a company spokesman. Upon completion, Meydan One will host 580 retail stores including 30 anchor stores and 80 flagship luxury stores, 190 dining outlets and a 13,200 sq m hypermarket, he stated.